July 11, 2016 July 11, 2016 by Beau H.
Editor’s note: Head this way for more menswear style suggestions. 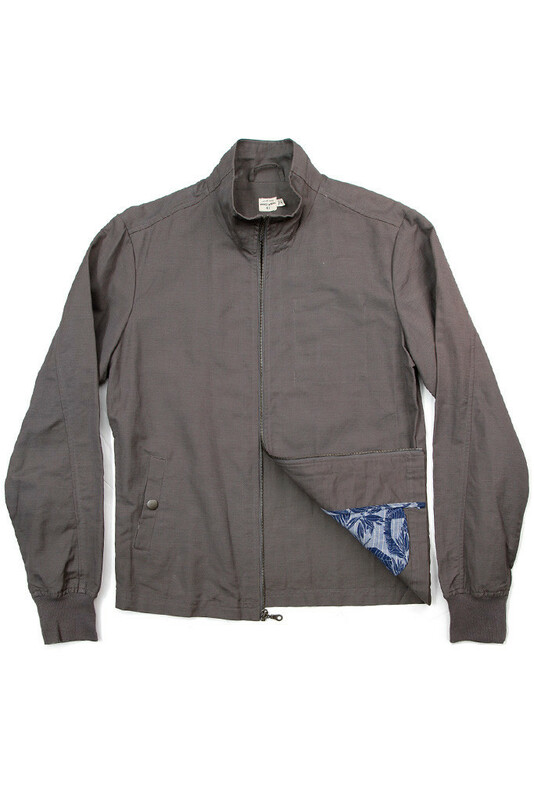 A straightforward-yet-stylish jacket with subtle detailing, including that printed liner. This piece of outerwear has popped up on the blog from time to time (including in this site’s guide to the best spring jackets), as it’s premium and stylish in a subtle way. It’s a classic silhouette with an updated fit and an easily wearable color, and it’s made with some eye-catching details, including the printed jacket liner. It’s not as dressy as a classic blazer, but functions as a solid outer layer should you need it if the night gets breezy. Other than that, it looks just right over a slim chambray shirt with or without a tie on this first date or elsewhere — it’s playing it (somewhat) safe while exuding great style. A classic chambray shirt never fails, especially one with a bit dressier styling. 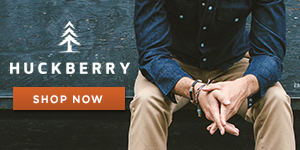 It seems that in nearly every style situation, a classic chambray shirt just …. works. When it’s the Taylor Stitch Hyde Chambray Shirt, it’s even better. It’s the more modern answer to a blue Oxford, as it incorporates great visual interest thanks to the textured fabric. Plus, it’s a four-season style essential — we’re talking wearing with a shawl-collar cardigan in the winter, and on its own in the warm weather for a first date. The semi-spread collar leans dressier than a button-down collar, but it can still be rocked without a tie (roll up the sleeves when your jacket comes off to heighten that effect). And if you do decide to go dressier? It would look just right with a grey knit tie. A lighter shade that’s not quite bright white — perfect for spring and summer. While classic dark blue denim would certainly work here, there’s something appropriate to warm weather about lightening up the color of your denim. In particular, a light shade of khaki is a unique style swerve that’s still easily wearable. Some can be hesitant about wearing white denim (yours truly included), so khaki is an easier way to switch up your wardrobe for warm weather. The light khaki color makes the chambray shirt and gray jacket stand out a bit more, too. And Mott & Bow’s Slim fit is going to be pretty agreeable to most body types (even if you’re not used to a slimmer-fitting pair of denim). Chukka boots that hit the right note between dressy and casual. A reliable, essential pair of suede chukkas is another safe and stylish bet to make, particularly for a first date. In this instance, these suede chukka boots are understated and casual, yet crisp enough to fit right in with that light khaki denim and blue chambray shirt. The color contrasts nicely with the khaki denim, and again, that essential pairing of chukka boots and a chambray shirt is one that works across all seasons. If the date leans a bit dressier, you could always swap in a pair of leather wingtips. Either way, these boots are sustainably made and sourced, so they’d be a worthy footwear choice. Not too plain, not too dressy — just right. As has been the theme of this outfit, sticking with subtle, stylish and slightly refined finishing touches is the way to go. Luckily, American Trench knows that’s just what guys need nowadays. The brand’s socks, though pricey, are a Style Guide favorite for their understated style, nice colors and good selection. The print on this pair plays nicely off the color of the shirt and the denim while not getting too far out there. Although one pair is pretty pricey, it’s an investment that’s worth it — they show a touch of personal style without detracting from the rest of the outfit. Leather detailing that contrasts nicely with the navy color. Everyone should (ideally) have a classic leather belt in their rotation. 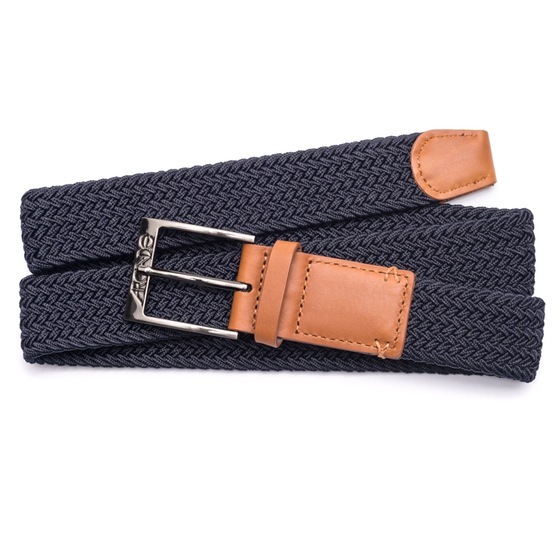 Here though, the easy pick is a belt that injects a bit of color into the middle of your outfit while also incorporating some spring and summer texture. If, as we always talk about, style is in the details, then this belt certainly fits that principle. It goes with the overall color scheme of the ensemble, and plays nicely off the blue chambray shirt. It’ll allow you to tuck your shirt in without looking like you left behind a part of your outfit, as well. That’s pretty crucial, yeah? Yet another timepiece that features tough Red Wing leather in the strap. If you are as of yet unacquainted with the rugged, straightforward and affordably priced stylings of some of the timepieces within the Timex collection, I’d update yourself accordingly now. 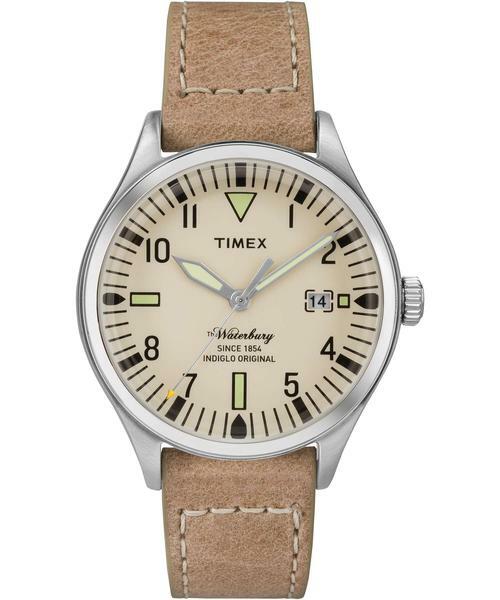 This revamp really picked up with the introduction of the Timex Waterbury line, continued with the Timex x Red Wing collaboration unveiling earlier this year, and rolls right on through with this simple-yet-rugged timepiece sold via Todd Snyder. This understated 38mm watch also features Red Wing shoe leather in the strap, which means it’s ultra-sturdy, ultra-stylish and definitely fit for a first date. 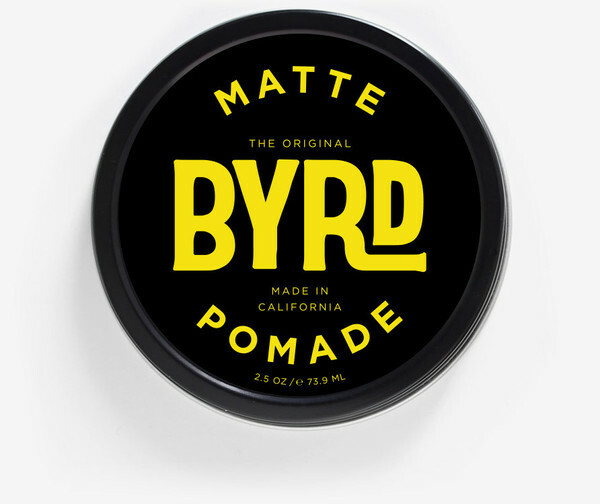 An easy way to look good — a bit of matte pomade and some light styling can go a long way. Some of us eschew hair product altogether, and there’s nothing wrong with that. But, it can be nice to spruce up your mane (particularly if it’s humid out) with a little matte finish pomade — that means you won’t get an overly shiny looking hairdo. And it goes without saying that you shouldn’t overdo it — just enough to achieve a nice, put-together look. We’ll cover off on more summer grooming essentials next week, but make sure you take care of the basics (y’know, brushing your teeth, wearing deodorant, etc.) beforehand, too. Preparing for (and then, well, going on) a first date can be a bit nervewracking — it’s about making a first impression, but it’s also about compatibility and finding the right fit. I’ll leave the restaurant/bar/activity choice to you, but the above ensemble should work with some mild tweaks across the spring and summer. The adage that you only get one shot to make a first impression is certainly true, particularly when it comes to style on a first date — clothing isn’t everything, to be sure, but if you start things off looking crisp and polished, that can only signal good things ahead (one would hope!). Plus, first dates should be fun, and dressing in some of your favorite style essentials is a great way to approach it with that mind set. Questions? Comments? Concerns? Head over to The Style Guide Facebook page to keep the discussion going! June 6, 2016 June 7, 2017 by Beau H.
Editor’s note: Start here for more festival style posts. 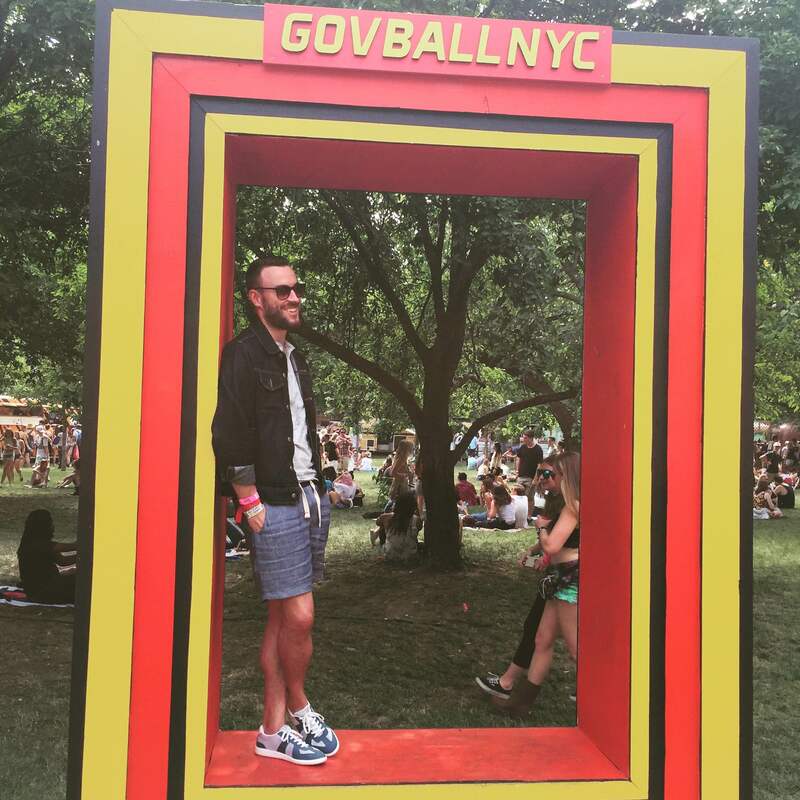 Taking in the sights and sounds of Governors Ball 2016 with the Abe Canvas Boot by CAT Footwear. Natural Trucker Jacket by JackThreads. Striped chambray shirt by JACHS NY. Dark denim by Mott & Bow. Glasses by Warby Parker. Brown leather watch by MVMT Watches. Outside of writing about men’s style for a number of Web sites and working my day job in fashion PR, there’s maybe nothing I love more than checking out live music and hanging out with lifetime friends– anywhere, anytime. So when this year’s Governors Ball lineup dropped, I knew from the get-go I had to be there — we’re talking tons of bucket-list bands, great food and great times with very special friends. Now, I’ve traveled as far as San Francisco for the Outside Lands music festival, but Governors Ball holds a special place in my heart. It’s not all that far via subway and ferry from my Brooklyn apartment, and it brings the best of the best in so many genres to NYC’s backyard. It was a treat to attend last year to check out everyone from Tame Impala to Lana Del Rey, and that made it essential that I convince my great college friends Lauren Gibbons and Summer Ballentine to trek across the country for this year’s festival. It was a considerably easier trek for us to meet up with another lifetime friend and former State News journo, Kyle Campbell, who’s based in NYC. Even though day three was cancelled due to the threat of severe weather, I’d consider it a mission accomplished! And as with lots of my recent weekend excursions, it was essential to meet the affair in style. The next time you head to a summer music festival, I recommend you do the same — that’s even more important if you’re dealing with up-and-down weather. Keep in mind that it’s about the music, but dress for the occasion nonetheless — that’s why we’re here, ehh? To kick off day one of the festival, I grabbed some trusty, rugged style essentials to combat the threat of thunderstorms. The great team at CAT Footwear was kind enough to provide me with not one, but two rugged pairs of boots to stomp around the festival grounds with. The Abe Canvas Boot is rugged, durable, festival-appropriate and yet still quite comfortable. The canvas side inserts and twill lining added an extra dimension of tough style, as did the rich Bossa Nova (dark brown) color. And my reliable Mott & Bow Skinny Mosco was a very solid pair of denim to rock alongside those, made with a hint of stretch and featuring that classic dark blue denim color. The boots did just as well at the festival as they’ll do at your next summer bar crawl, and they helped out tremendously given the threat of rain. Up top, I went lightweight and casual with an essential JACHS NY Striped Chambray Short-Sleeve Shirt. And since fighting inclement weather comes down to outerwear, and my friends at JackThreads were kind enough to hook me up with the JackThreads Trucker Jacket, a seriously cool update to a retro style, especially in the Seeded Natural color. It’s a downright bargain at just under $80, too. Luckily, the rain held off, and we jammed to the essential NYC rock of The Strokes Friday night — they packed their set list with a long run of classics and some new material, and scorched their way through epic renditions of “Someday,” “Last Nite,” “Reptilia” and “You Only Live Once.” It was a once-in-a-lifetime performance! I couldn’t have been happier to be there. There also was plenty of action before that, with jams from Of Monsters & Men, Father John Misty, an epic set from Bloc Party and the endlessly fun Matt & Kim during the day. Remember Bloc Party? I sure as heck do. And Matt & Kim are definitely workhorses in the music festival season, and they put on a heck of a fun show — if you get the chance to see ’em, please do! Friday certainly didn’t disappoint when it came to the tunes on stage, even if the beer prices were a tad high for my taste. Taking in Governors Ball, day two. Slim-fit Henley by Old Navy. Denim jacket by American Apparel. Indigo Linen-Blend Shorts by JACHS NY. Luca Sneakers by SWIMS Official. Maximus Sunglasses by Sunday Somewhere. On the other hand, Saturday presented a positively gorgeous first half of the day — the second half, not so much. However, the day still provided a wall-to-wall schedule jam-packed with even more must-see shows. From a personal standpoint, that meant kicking off the afternoon with the upbeat, fun vibes of MisterWives, followed by a really stellar late afternoon show from Michigan natives Lord Huron, who seem to be everywhere with their own take on folk rock — and some excellent tailored gear as part of their on-stage apparel. They sound great, and dress sharply to match. Of course, those afternoon shows coupled with the NYC heat meant two things — a few critical refreshments and some critical warm-weather gear. 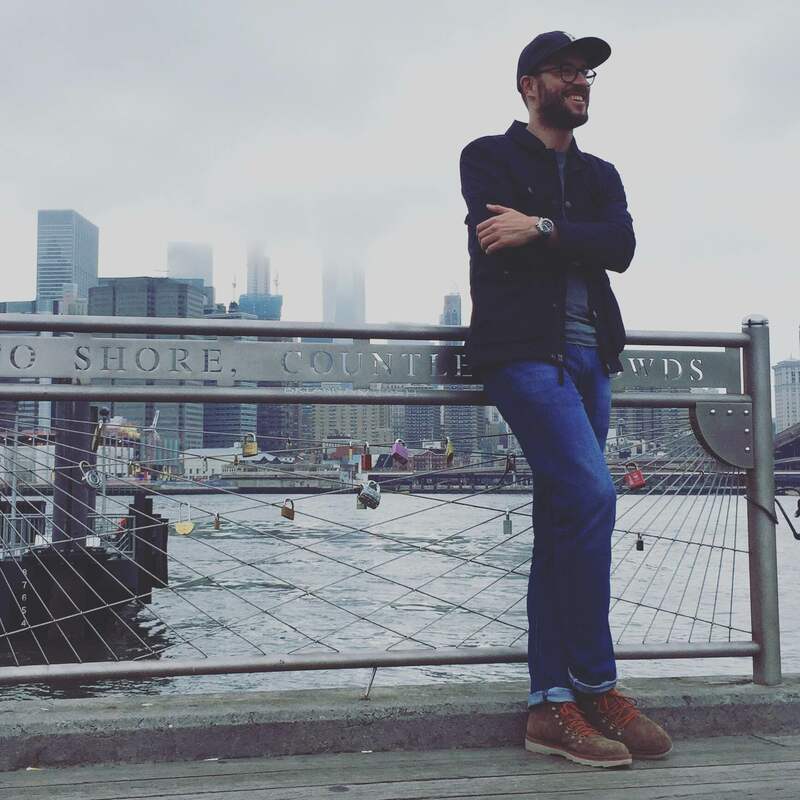 I kept it simple and paired my JACHS NY Indigo Linen Blend Montauk Shorts with a slim-fitting Old Navy short-sleeve henley (a new favorite piece for hot temps) and my trusty American Apparel denim jacket. The shorts were comfortable and lightweight yet still had a nicely tailored fit, and the color played nicely off the SWIMS Luca Sneaker, an incredibly comfortable pair of footwear that’s also breathable and machine-washable (crucial for navigating the muddy fields). The whole combo was topped off by my Maximus Sunglasses from Sunday Somewhere. All good things must come to an end, and that meant the great music continued even as the sunny weather ran out. The lovely ladies of HAIM shredded their way through two new songs and an insane live set despite insane rain; they’ve got a tight rhythm, great vocals and a distinct sound that’s second to none. We proceeded to dance our way through a rainy set by the incomparable Miike Snow, and things thankfully cleared up seemingly just in time for once-in-a-lifetime show from a band I’ve waited about 12 years to see, The Killers. Words simply aren’t enough. You talk about the power of music to transcend and connect people, and that’s about as close as it gets. It could not have been more epic. Hopefully, it’s not another 12 years before I get to see them again! Trying to stay upbeat despite missing day three of Governors Ball due to weather. The Alaric Boot from CAT Footwear was critical in the rain. Field jacket by Timberland. Pima Crewneck by Mack Weldon. Light Ludlow Denim by Mott and Bow. Flat Wool Cap by Bridge and Burn. Rubber-strap watch by Stuhrling Original. Now, the real kicker came on Sunday — as we headed to the festival, we found out day three was cancelled due to weather concerns! Talk about a major bummer. That did give us more time to explore NYC, including a delicious brunch at Brooklyn’s Aita, some time in Brooklyn Bridge Park, and a trek across the Brooklyn Bridge. For those activities, the Slim Ludlow Denim in Light/Medium Blue via Mott & Bow worked quite well, as did the Alaric Boot from CAT Footwear. It’s a dependable, rugged hiker with colorful laces, a sturdy, jagged sole and a microfiber lining for comfort and function. They’ll definitely do quite well if you find yourself traveling to any other festivals this summer, and they did very well walking all around NYC. I’d also recommend a comfortable Mack Weldon Pima Crewneck and my reliable Bridge and Burn Flat Wool Cap to top off any travel gear. The adventures didn’t stop after brunch — far from it, in fact! Irish indie rockers Two Door Cinema Club took us completely by surprise when they announced a secret show at the Music Hall of Williamsburg, a personal favorite venue in NYC, to make up for the Governors Ball cancellation. That left us battling about 3,000 other eager fans to see them — in a venue with a capacity of about 550, the numbers don’t quite work! In spite of that, we had a nice evening checking out some of Williamsburg’s finer establishments, and were in bed well before the announcement of the surprise Kanye West show at Webster Hall. Now, I’m still bummed I missed Cold War Kids and CHVRCHES, on Sunday (along with Death Cab for Cutie), but I feel very sure I’ll see them again soon. The music (and #menswear) were small parts of the weekend, though — it was truly so great to catch up with outstanding lifetime friends, and I’m really fortunate I was able to rock some great gear from a few terrific brands at the festival, too. More importantly, I thoroughly enjoyed taking in some amazing, awe-inspiring music. I might be a little tired today, but there’s perhaps nothing more fulfilling as a music fan than seeing a band you love deliver on a great show at an outstanding festival. When you get the chance to sing along to songs you’ve known half your life, it’s all the better. Add in lifetime friends and the equation’s complete. Governors Ball is totally worth it, bad weather and all. I can’t say enough about the weekend, but for now, I know I’ll be back next year! P.S. For more menswear, check back here tomorrow for a summer-friendly #OOTD. January 27, 2016 January 27, 2016 by Beau H.
One of the best things about the menswear world these days is the general approach to mixing and matching style staples. White sneakers can be paired with blazers and chinos, sharp wingtips can dress up a slim pocket tee and denim — if you can dream it, it’s likely a combination worth trying. Such is the case with today’s #OOTD offering. Wool dress trousers could feasibly conjure up some not-so-great style memories, especially if you rocked yours with pleats, as I did back in the day. But as with most silhouettes across the board, the approach is now slimmed-down and smartened-up, making a sharp wool trouser easier to pair with staples both rugged and refined — as you’ll see in the outfit below. And sometimes, when the doldrums of winter start to hit, you just need to shake up your typical blazer-and-trousers combo. A denim jacket + slim wool trousers = a whole new way to view your work wardrobe. The Trousers — J. Crew Factory Thompson Slim Suit Pant in Herringbone Wool, $49.99 — The staple of this outfit — slim, versatile and with some subtle pattern. The Jacket: Taylor Stitch Long Haul Denim Jacket, $188 — The wild card of this outfit, it’s a supremely sturdy investment-worthy piece of four-season outerwear. The Shirt: Uniqlo Slim-Fit Long-Sleeve Oxford, $29.99 (On-Sale) — Staying on-trend by pairing a deep blue shirt with an indigo jacket. If that’s not dressy enough, throw on a rich wool tie to top things off. The Boots: Thursday Boot Company Natural Diplomat Boot, $199 — A refined take on the moc toe boot, complete with tough Natural Horween leather. The Socks: Happy Socks Red Optic Sock, $8.40 — These socks provide a shot of color and pattern, and won’t cost you an arm and a leg. The Belt: J. Crew Factory Reversible Brown Leather Belt, $26.50 — Two solid belts for an agreeable price — don’t worry too much about matching the shade of brown here exactly to the boots (being in the same color family works). The Watch: Timex Waterbury Chronograph, $100 — A heck of a bargain for a rugged watch that lends another piece of visual interest to this ensemble. Keep in mind that with the above outfit, I’d recommend throwing in a few choice winter accessories to fight the chill – and with all that being said, you should be well-set to tackle whatever the day has in store for you, be it some time in the office or time around town. Wear it well! January 6, 2016 January 6, 2016 by Beau H.
Pick a boot, any boot. Back left corner: Wolverine 1000 Mile in Navy Suede. Back right corner: Dr. Scholl’s Burke Boot. Center: Timberland West Haven Chukka. Front left: Thursday Boot Company Chocolate Suede Scout Chukka. Front right: Thursday Boot Company Roughout Captain Boot. Welcome to our first Online Shopping Picks post of 2016! The extremely gradual change of the seasons this past fall & winter has left me a bit caught off-guard stylewise – as soon as the calendar hits late September and early October, I’m normally all about wearing sturdy denim, thick cardigans and tough boots whenever possible, on through December and January. But the fairly temperate climate in NYC made it somewhat difficult to do that when compared to previous years – I still have yet to see snow in NYC, an oddity for me considering cold winters growing up in Michigan. If you find yourself in the same situation, rest assured – winter will get here soon enough, likely with a vengeance. And when it does, make sure you’re prepared ahead of time with a standout pair of reliable winter boots. The picks that follow here were selected by yours truly for their combination of versatility, functionality and overall style. So you won’t find any steel-toed boots or extreme hiking boots below – just reasonably rugged, tough pairs that can work going into the office, going out after and maybe doing some light trekking off-road on the weekends. Check out these picks below, and let me know if I missed any! A lovely shade of dark brown and a refined captoe merge with a hand-stitched rubber outsole. The Chester Captoe Boot as seen here checks off three key boxes in rapid succession – great looks, a really solid price and that crucial rubber sole. Jack Erwin has been doing a great job releasing well-curated collections by the season (Exhibit A: its loafers), and its boots are no different. The captoe makes this pair sleek and office-ready like a dress shoe, particularly in the Espresso color, while the rubber sole can definitely get you where you need to go this winter. It’s likely the next step up pricewise from other picks, but well-worth it. No captoe, but still a relatively slim profile — the President Boot from Thursday Boots. Whereas the Jack Erwin captoe is fully suit-ready, the Thursday Boots President Boot is a little more business-casual thanks to the slightly lighter brown leather and lack of a captoe. But that doesn’t make it any less sleek – it’s still got a slim toe shape, yet the rubber sole you’d expect from a durable winter boot. If the sole is anything like that on the Roughout Captain Boot or the Chocolate Suede Scout Chukka, it should provide great traction while holding up reasonably well. These can definitely be worn with a slim pair of denim and a navy blazer-chambray shirt combo as part of a daily uniform – throw in a sharp V-neck sweater if it gets cold. The Wolverine 1000 Mile Boot in Navy Suede, in person — a Style Guide favorite. The classic 1000 Mile silhouette gets a suede-centric upgrade – which also bumps up the price and knocks it a bit further down this list. However, these Navy Suede boots are true beauties – the suede feels smooth & rich, and the sturdy construction lives up to Wolverine’s standard. The profile is fairly slim as far as a boot goes, so these have looked right at home even alongside dark blue denim. 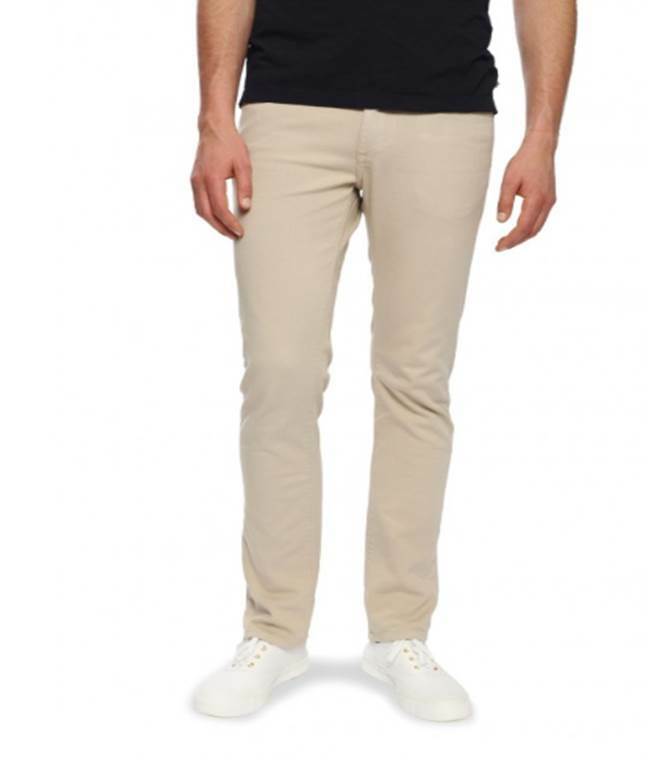 I’d also recommend you try these out with light grey chinos, which should really make that navy suede pop. The price is going to be an investment that merits proper care, so they might be less ready to wear in all kinds of weather – but it’s going to be hard to leave them inside. Certainly more unique-looking, and perhaps more suited to casual wear, but still a durable and stylish option. The Olmstead Boot is marked down to $249 from its original price, so it’d be a wise bet to jump on them now (sizes are somewhat limited, too — from 8.5 up to 13, pushing it further down the list). They’re perhaps the most unique-looking pair of boots on this list owing in part to that wedge sole – they’ll likely wear a bit more like the sneaker-boots that seem to be all the rage. The moc toe silhouette and contrast stitching could make these a bit more tough to pull off, but the dark brown color grounds them a little bit. That should help them sit just right underneath slim grey or blue denim in a casual workplace. Pair these guys up with a navy crewneck sweater and slim tan chinos on the weekends, too – trust me. A sharp Black makes these a tad more refined than the thicker profile might suggest. One of the most recognizable boot silhouettes in the game today, the Iron Ranger is another certified classic. It wears a little more bulky than the sleek Jack Erwin or Thursday pairs at the top of this list, and it’s pricier, so it does get knocked down the list. BUT, the black color makes this pair both rugged and fairly refined – they’re going to be that pair you reach for in extremely deep snow, yet could still leave on for work if you take care of them properly and match them up with the proper style essentials (like sturdy chinos or denim and a refined chambray shirt). Like the Wolverine boots above, these guys are a definite investment – but as investments go, it never hurts to stock up on tough boots before winter. So that brings us to the end of this list – know that some other budget options were considered, like the much-loved JC Penney Stafford Deacon Wingtip Boot. I’d also urge you to swing through the seemingly ever-expanding footwear offerings at J. 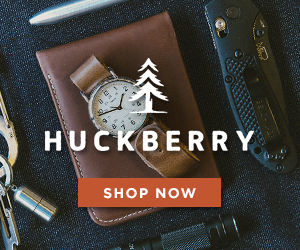 Crew – they stock a variety of boots, including the classic Alden Indy, and sometimes offer them up on sale. It might seem as if there’s plenty of time before winter really hits – but it’ll be here before you know it. So stock up on your favorite boots, and wear them well this winter. Tell me – what pair are you thinking about buying on this list? What’s your winter boot go-to right now? 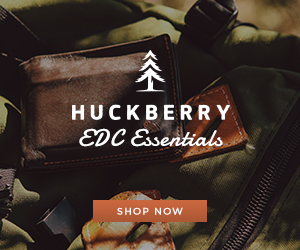 December 21, 2015 December 20, 2015 by Beau H.
Editor’s note: Click here for last-minute holiday gift ideas. And if you’d like to read more product reviews, head here. These boots were made for … reflecting? 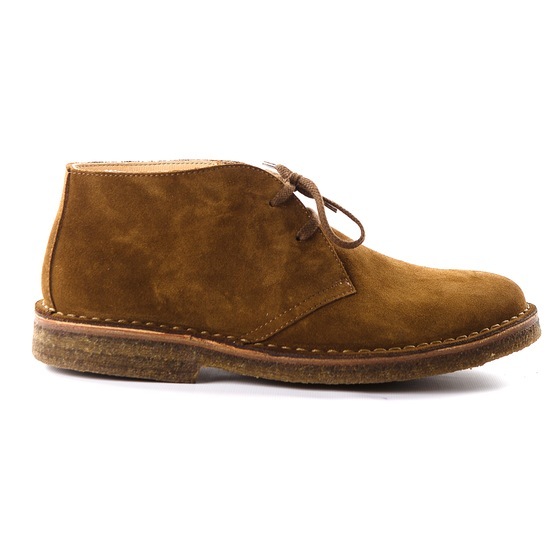 Going in-depth with the Chocolate Suede Scout Chukka from Thursday Boots. Custom suit trousers by Combatant Gentleman. Turtleneck by UNIQLO. Glasses by Warby Parker. Charcoal socks by American Trench. Curiously enough, this review hits just before Christmas and yet across large swaths of the country, it’s been unseasonably warm — these are still fair game as a last-minute gift, though. Now when it takes as long for winter to start as it has this year, it can be somewhat easy to get into a style rut. The weather’s not heavy enough for thick winter boots, yet you might be a bit sick of wearing sneakers. So what’s a good intermediary between these two extremes? As you may have read before on this site, it’s the chukka boot. It’s swifter and sleeker than a winter boot but it’s a little less cleaned-up than a Chelsea boot, so it can wear both more casual or a tad dressier for the late fall and into early winter and beyond. Crafted in rich suede like the option you see here from Thursday Boots, it’s the perfect go-to for when it’s time to change your footwear without going into full-on thick boot territory. There sometimes can be a tendency to skimp a bit on quality when it comes to a shoe like this (after all, brands like H&M sell chukkas for lots less), particularly if a suede chukka isn’t your go-to everyday footwear option. It’s wise to shell out more though — with Thursday, you’re getting both a fair price and a really solid chukka boot. You might recognize the Chocolate Suede Scout Boot from a recent Style Pick of the Week, and it’s been in solid rotation over these past few weeks (which, coincidentally, have remained quite warm in NYC), thanks to its quality and looks. Thursday Boots, if you’re unacquainted, has made a name for itself in the men’s footwear market through a fall 2014 Kickstarter launch that positively blew up, as the investors might say — and their recent product additions have proven nothing short of eyecatching. 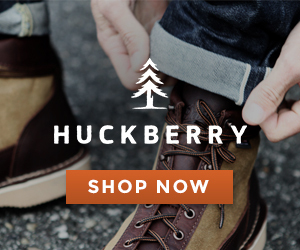 That goes for the brand’s chukka boots, as well as its superb-looking Chelsea boots and some tough hiking boots. Those are on top of its more premium and higher-priced Black Label Collection featuring rare leathers, and its Captain Boot silhouette (of which the Roughout Captain Boot as seen on this blog was a part). A look at the versatility of the Chocolate Suede Scout Boot (more on that in a bit). Dark denim by Mott & Bow. Baseball jacket by Grayers. Gloves by Iron & Resin. Henley by Pistol Lake. Vintage ballcap by Goorin Brothers. Watch by Invicta. So for all the range the brand has, it’s a good thing the quality doesn’t suffer, at least to this style writer’s eye. The Chocolate Suede Scout in particular features a Goodyear welt that doesn’t have any noticeable imperfections or issues in terms of the stitching. And while that’s a selling point, perhaps the first thing you notice is the quality of the suede — it’s smooth and soft, unlike a more casual Clarks boot, which sometimes has a rougher feel and a more noticeable nap. That smoothness makes these Thursday chukkas quite easy to dress up — even with suit trousers and a turtleneck. The premium round wax laces are also trimmer and sleeker than laces on some other suede chukkas, helping with that elevated feel (it helps that the laces are the same color as the suede itself). The boot hits higher on the ankle, a refined touch that stands out –in a good way. 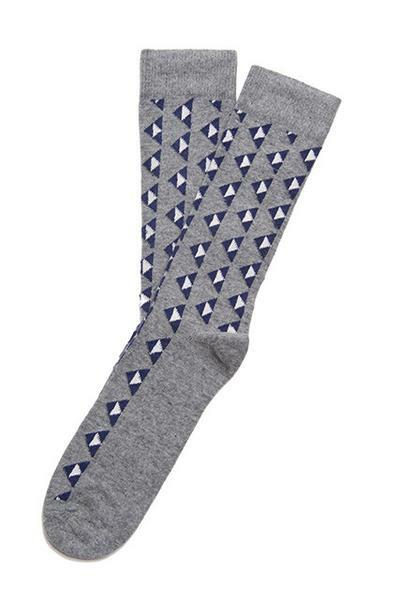 Fair Isle socks by American Trench. Baseball jacket by Grayers. Dark denim by Mott & Bow. Watch by Invicta. Another noticeable and rather defining feature of these chukkas is the height of the boot itself. Whereas some chukka boots like Clarks hit a little lower on your heel, these extend ever so slightly higher on the ankle — just slightly below the height of an ASOS suede Chelsea boot, for reference. That difference might seem subtle, but when combined with the brown suede and full glove Italian leather lining, it lends a continental feel to these boots (exhibit A: James Bond rocking brown suede chukka boots). So given that bit of contrast, it felt right to pair them with a dressier ensemble for Thanksgiving, and yet they also paired perfectly well with a more casual henley-and-denim ensemble for exploring Washington, D.C.. I’ve gone so far as to pair them with an elbow-patch cardigan and navy chinos, as you can see here. The slim profile of this pair makes them highly versatile, fit for adventures on the road ahead. Dark denim by Mott & Bow. Weekender bag by Navali. Leather luggage tag by Owen & Fred. On top of versatility, the comfort of these boots is absolutely a big selling point, too. Some have had issues with the quality of Thursday Boots or the comfort, but I’ve experienced no such problems. The studded rubber outsole has provided good, noticeably solid traction for getting around NYC on the weekdays and weekends, and the heel hasn’t worn down despite the miles I’ve put on them. It’s a comfortable walking experience from toe to heel, and one would think the full glove leather lining plays a large part in that. Everyone’s footwear experience is different, to be sure, but I also found that a size 10 runs true to size on my feet. That works out well given that the toe shape of these shoes leans much slimmer than your average chukka boot. Again though, that’s another feature that makes them dressy and wearable in a variety of situations. Crucially too, the quality of the suede has held up quite well. I certainly don’t baby my shoes, although I do use a suede brush and waterproof spray (I’d recommend you do the same, and Thursday Boots has you covered with a boot brush on its site). They do have a few scuff marks, but nothing outrageous given how I’ve been wearing them — and there were no issues as far as suede quality right out of the box, either. It really was one shoe that I couldn’t wait to start wearing, and I’ve been happy to get the chance to continue wearing them this winter. It’s worth you looking into them — brown suede chukka boots can be worn right now with dark raw denim or burgundy cords, and you can wear them into the spring and summer with white denim and light blue chinos. A pair like this can dressy, too — charcoal flannel trousers and a nice elbow-patch crewneck would blend in seamlessly with this continental style, and you could mix in some high-low style with navy cargo trousers and a grey crewneck sweater. And with the quality they pack, you could find yourself reaching for them again and again. Do you own the Chocolate Suede Scout or any other pairs of Thursday Boots? What’s your experience been like, and how would you style them?